Which Legal Structure is Best for Your Start-Up? Limited Liability Company. 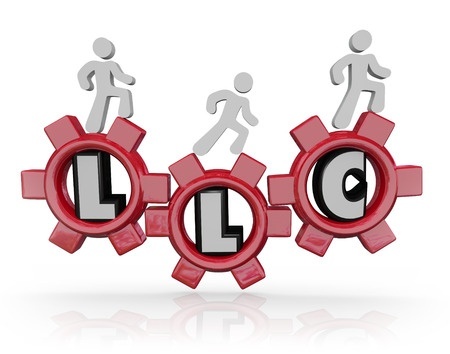 Many new businesses select the limited liability company (LLC) structure for their new entity.The LLC offers similar protections as does a corporation, but one distinct advantage is that the LLC does not require the same formalities as does a corporation. The LLC permits the members to own and manage the company jointly, while also sharing in the profits and losses. Additionally, the members of the LLC can take advantage of pass-through tax treatment. It should be noted that every business situation is different, so you should confer with a lawyer or other tax advisor regarding the tax treatment in your individual circumstances, but the LLC typically offers several benefits. Lastly, and importantly, the LLC provides the business owners protection from personal liability. In other words, the owners’ personal assets are usually protected from debt collection efforts and judgments against the LLC, except where fraud, misrepresentation or other egregious situations occur. C-Corporation. The C-corporation (C-Corp) is a complex and expensive legal structure to create, but it can provide a wide variety of benefits. A C-Corp is taxed as a separate entity and the owners are only obligated to pay taxes on the profits received from the business. Also, a C-Corp usually falls in a tax-bracket that is lower than individual tax rates. A C-Corp is often used if the company expects to be acquired and can be a beneficial structure for fundraising purposes. You can sell shares in the entity and also create different classes of stock. S-Corporation. The S-corporation (S-Corp) has some important similarities to the C-Corp, but most business owners select it for the tax treatment it receives. The S-Corp is a pass-through entity, which permits the profits and losses from the entity to flow directly to the shareholders. You can only have 100 investors in a S-Corp, and they must all be individuals who are legal residents of the United States. The above is a very brief summary of three of the business structures available for new entities. There are many other factors that should be considered as well as the other business formations available. Contact Leslie S. Marell to determine which type of entity is the most beneficial for your new business.